In response to the devastation and death caused by Hurricane Haiyan (Yolanda), Peace Boat’s Disaster Relief Volunteer Center (PBV) has dispatched an advance team to conduct an assessment, partner with local and international relief organizations, and begin relief efforts. The effort is being directed in the Philippines by Goda Shigehiro (PBV Administrative Director), and supported by Peace Boat’s head office in Tokyo, and by Peace Boat US. Peace Boat US is supporting PBV’s efforts by calling for donations to support communities affected by Haiyan / Yolanda through PBV relief efforts. Please see our Donate page here. Going forward, PBV will be dispatching a number of staff and volunteers to bolster our relief efforts on the ground. The focus of our project will be Biliran Island, just north of Leyte Island, which has been largely neglected by governmental bodies and international aid agencies. PBV’s staff and volunteers will be distributing kitchen starter kits (including pots, pans, kitchen utensils, kettles, etc. ), as well as other relief supplies, to approximately 600 affected households with the most urgent needs on the island. This project will be conducted in partnership with international humanitarian aid NGO Church World Service (CWS) and local NGO Pampanga Disaster Response Network (PDRN). Yesterday (November 21st), we provided 250 meals for survivors in partnership with FJERA (Filipino Japanese Emergency Response Association). Apples seemed to be the favorite food items in the meal packs! We have reached the stage where it is not only important to prioritize the speed and quantity of relief goods, it is also paramount to consider the survivors’ psychological and emotional needs when providing these goods. 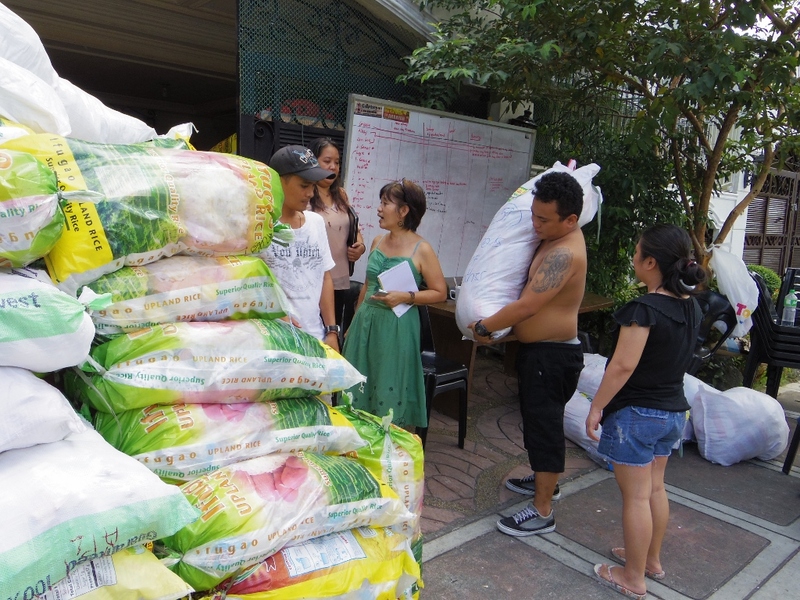 One of the relief activities that PBV is involved with is distributing emergency supplies in the Nortern Cebu area with a local organization, FJERA (Filipino Japanese Emergency Response Association). We have held various meetings with other organizations and community leaders in the area and are planning to use the funds we have raised in both Japan and around the world to purchase and provide supplies that are most urgently needed. We would like to express our heartfelt solidarity and support with all of those affected by this disaster across the Philippines. Peace Boat Disaster Relief Volunteer Center (PBV) is dispatching an advanced team to the affected areas to conduct an initial assessment and to strengthen ties with local Non-Governmental Organisations. After liaising with local partners and assessing the situation on the ground, PBV will provide relief based on the most urgent needs of the affected communities.